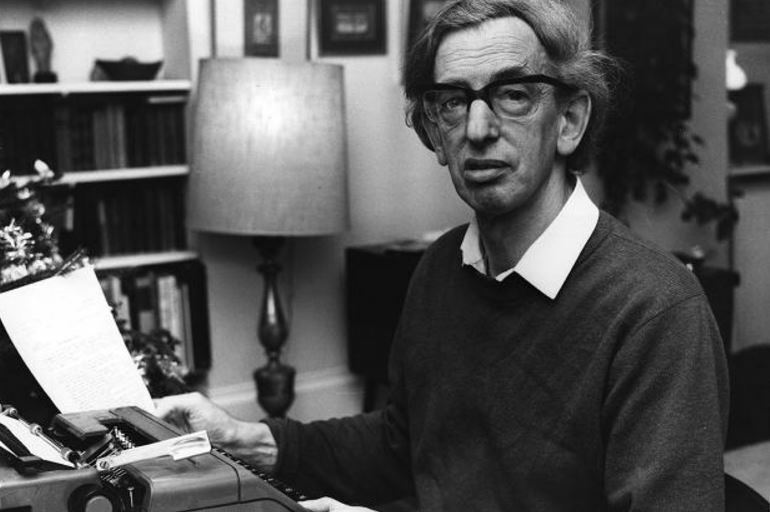 The historian Eric Hobsbawm would have turned 100 today. During his life, he never lost faith that the future belonged to socialism. One long century ago, on June 9, 1917, not quite halfway between the February Revolution and the October Revolution, Eric Hobsbawm was born in Alexandria, Egypt. The lifelong communist died only five years ago, in 2012 at the age of ninety-five. He spent his final years placidly convinced that socialism belonged still to the future, to the twenty-first century. A founding member of the legendary British Communist Party Historians’ Group that fashioned “history from below,” Hobsbawm was a titanic figure among the twentieth-century intelligentsia. Prodigiously active as an intellectual, scholar, and, as he put it, “participant observer” in political life, he was, ironically, defined by the time of his death by what he did not do: he was the one who did not leave the Communist Party. In the wake of the 1956 Soviet invasion of Hungary, the other prominent British communist historians, like Christopher Hill and E. P. Thompson, all resigned. Likewise their French counterparts like François Furet, who called quitting the French Communist Party the most intelligent thing he ever did. But Hobsbawm, the most intelligent of the lot, never left the party. Instead, Hobsbawm stayed in the party but retreated from active everyday politics. He poured himself into his academic labors and spent the rest of the Cold War writing an unparalleled body of historical work, all the while his career in academia — most of all, his chances for a prestigious post in the United States — remained hampered by his obstinate communism. Even without his masterpiece four-volume history of the modern world, Hobsbawm would rank among the most accomplished historians ever to write. In 1952, he co-founded the still glorious academic journal Past & Present; he wrote a classic history of the British industrial revolution (Industry and Empire) and co-wrote a classic history of workers’ direct-action resistance against it (Captain Swing); Primitive Rebels of 1959 and Bandits of 1969 offered readers a rogues’ gallery of heroic Robin Hoods, Rob Roys, and Pancho Villas; the subversive premise — that as a general rule things that appear timeless custom are really modern “invented traditions” meant to prop up the powerful — behind the 1983 book he co-edited with African historian Terence Ranger, The Invention of Tradition, has permeated contemporary culture and made it a bit more healthily cynical about the pomp and pageantry of authority. But it was his tetralogy of “Age” books that endowed Hobsbawm with his oracular glow. Influenced by the French Annales historians’ epic ambitions of total, all-encompassing history, these four books were world history from below, the middle, and above. With rare imagination, intelligence, and erudition, Hobsbawm not only synthesized the history of the modern world, he intensely conveyed a concentrated world-in-words capable of changing how the reader would thereafter see the larger world, having read Hobsbawm. The project began as a trilogy of what Hobsbawm influentially labeled “the long nineteenth century.” Then, shortly after the Cold War ended, Hobsbawm added a massive history of “the short twentieth century,” extending his analysis through the 1991 collapse of the Soviet Union. Taken as a whole, the four books charted out the dialectical acts of creation and destruction that made up the modern world. More than that, they spun a mythology of modernity, filled with godlike abstract forces — liberalism, socialism, democracy, nationalism, imperialism, capitalism — wrestling over the fate of humanity. Hobsbawm organized his “long nineteenth century” into three distinct ages, each addressed in its own book: The Age of Revolution, 1789–1848; The Age of Capital, 1848–1875; and The Age of Empire, 1875–1914. The “age of revolution” was driven, Hobsbawm argued, by modernity’s “dual revolutions,” a French political revolution and a British industrial revolution. Hobsbawm traced their ramifications up to the failed revolutions of 1848. This was followed by the “age of capital,” a global counterrevolutionary reconstruction of political economy based on bourgeois arrogance and recklessness. After the ages of revolution and capital, Hobsbawm’s long nineteenth century then culminated with the “age of empire,” the contradictions of which brought a long century’s worth of immense social transformation and economic expansion to its inevitable collapse point: World War I.
Reminiscent of Karl Polanyi’s iconoclastic classic of historical political economy, The Great Transformation, Hobsbawm’s trilogy was a textured, sweeping, and sophisticated explanation of how in the nineteenth century liberalism triumphed over its many reactionary and radical adversaries, from monarchism to Jacobinism. If his nineteenth century was long, its bourgeois liberal triumph was short. And the twentieth-century consequences of nineteenth-century hubris were grave. In the book he added to his original trilogy, The Age of Extremes, 1914–1991, Hobsbawm depicted the twentieth century as a tempest of revolution, total war, genocide, political illusion, economic exploitation, imperial hubris, and technological terror. Above all else, his interpretation of the “age of extremes” emphasized the twentieth century as the battlefield of a great contest among modern ideologies fighting for world supremacy amid the ruins of liberalism once it collapsed in the global catastrophe of the Great Depression. As for the wartime rescue, that can be explained in two words: Red Army. (Or if you prefer one word: Stalingrad.) As for the peacetime rescue, that counter-intuitive insight required someone with Hobsbawm’s dialectical creativity to see: twentieth-century communism saved liberal capitalism, he explained, “by providing it with the incentive, fear, to reform itself after the Second World War, and, by establishing the popularity of economic planning, furnishing it with some of the procedures for its reform.” The human emancipatory project of communism failed, yes, but twentieth-century communism (inadvertently) succeeded in saving capitalism from itself. At the age of seventy-seven, Hobsbawm became more famous than ever, but it was not that the old man was fêted. Rather, he was puzzled over. Liberal intellectuals wondered how someone who knows so much could have failed to understand the one thing that mattered about the twentieth century. He was so perplexing because, in contrast to Hobsbawm’s panoramic historical vision, when these liberal intellectuals looked back at Hobsbawm’s short twentieth century, they had a narrow view of it. They saw only a moral test in which anticommunism, in the guise of anti-totalitarianism, dictated the answer to the only question on the test. Hobsbawm had failed. That is how most essays on Hobsbawm end. They end with his significance glazed in that post–Cold War moment of neoliberal triumphalism, Hobsbawm reduced to a tragic figure unfortunate enough to outlive his times and hear History’s harsh judgment. Liberal capitalism, the very subject of his great tetralogy, now stood astride the globe, triumphant and unchallenged as never before, its champions easily confident that there was no alternative: the future was to repeat the nineteenth century. Much like the bourgeois industrial revolution that defined Hobsbawm’s long nineteenth century, the twenty-first century, it was understood, would be driven by globalized capital and the liberal norms established by the nineteenth-century bourgeoisie: the age of extremes had given way to a new age of liberal capitalism — the age of neoliberalism. There was at least a whiff of end-of-history assumptions at work behind the post–Cold War liberal commentary. Furet, who had left the party after 1956, was less exuberant than many, but he nonetheless portrayed the consensus view when he concluded, “Here we are, condemned to live in the world as it is.” He wrote this in a book on twentieth-century communism’s demise, dramatically titled The Passing of an Illusion, that appeared the year after The Age of Extremes and came to serve as its intellectual counter. That was not true, though it certainly felt like it at the time. Hobsbawm did continue to conceive of another human society; he simply wasn’t heard amid the self-congratulatory clatter of the neoliberal nineties, cast instead as a figure from the past, not really a part of the world anymore. But to look back today at the entirety of his intellectual labors from the distance of a century since his birth, it becomes clear that at the moment Hobsbawm was cast into the past, he still had one more age to live through. Hobsbawm outlived that dead spell of time during which the condemnation of him was greatest, the period of neoliberal ascendancy that stretched from the Cold War’s end to the 2008 global economic crisis brought on by neoliberalism. Like the original bourgeois victory, the age of neoliberalism unchallenged was brief. And in that time, Hobsbawm came to carry a rather different political significance than the die cast for him at the end of the Cold War. The first act came with Hobsbawm’s lyrical, laconic 2002 autobiography, Interesting Times. Interesting Times has a magical quality to it, not only casting a spell on the reader but even portraying academic life as somehow enchanted. Still, undoubtedly the most spellbinding parts of the book deal with Hobsbawm’s early life. When Eric was two, around the time of the Egyptian Revolution of 1919, his parents, a British father and Austrian mother, both Jewish, moved away from Alexandria to Red Vienna. Eric lived there until he went to Berlin in 1931 at the age of fourteen. By then, both parents had died, financially ruined and melancholic, and Berlin’s streets were filled with Nazi stormtroopers. Hobsbawm recalls the murderous political warfare of those last days of the Weimar Republic, and explains that it was then that he first took up communism. He took part in the last legal demonstration of the Communist Party of Germany (KPD), days before Hitler became chancellor, a mass-march response to a pre-election display of force by the brownshirt Nazi SA (Sturmabteilung). His memory of the event was hazy by the time he wrote Interesting Times, but he recalled “endless hours of marching” along “dark wintry streets.” Most of all, he remembered the “mass ecstasy” — Massenekstase he called it in his diary — of solidarity in motion, collective singing alternating with “heavy silence” under ominous skies. Then Hitler ascended, the KPD was banned, and the concentration camps began. Hobsbawm was sent to family in London. In Interesting Times, Hobsbawm points back to his Berlin experience when he explains why he never left the British Communist Party after ’56. He doesn’t deny that pride played a role in his decision to stay, but he suggests too that he remained emotionally tied to the emancipatory promise exchanged among the communist faithful marching on the streets of Berlin in those final days before the Third Reich. Interesting Times pairs well with another masterpiece of memoir that appeared the same year, the radical feminist Gerda Lerner’s “political autobiography,” Fireweed, also a work of enchantment, written by a Jewish antifascist Viennese émigrée who joined a Communist Party and also became a renowned historian. As a teen in Anschluss Vienna, Lerner was seized by the Gestapo and imprisoned. She wrote in Fireweed that her weeks in jail “were the most important events” in her life, marking her “irrevocably” and giving her life a meaning that she tried ever after to understand. In a fascist prison she learned of the cruelty of power over others and of the power of real solidarity, made in suffering and struggle. The current is the key word there. Hobsbawm saw, I think, that hard times were underway for the Left. He did not make his peace with liberalism, capitalism, with the world as it had become. He did not bend, but neither did he sell the Daily Worker on London street corners (indeed, so removed was he from such local branch work that in Interesting Times, he’s off on the renaming of the Daily Worker as the Morning Star by ten years, suggesting 1956 rather than 1966). Ultimately, he did not retreat from politics, but rather he left the present behind. He wrote for the future, for more promising times. He wrote for the world that began to take form in the final year or two of his life. Hobsbawm’s final book published during his life was the defiantly titled How to Change the World, a collection of essays on Marx and Marxism. Alongside his autobiography, this was the other late work that redefined Hobsbawm’s lasting significance. Presented in the aftermath of financial capitalism’s global meltdown, the essays provided a lens for thinking about how to build a twenty-first-century socialism that absorbs some of the lessons learned from twentieth-century socialism. Had it been published in the neoliberal years prior, one would expect a book titled How to Change the World to be written by a wide-eyed young idealist, or, worse, Nicholas Kristoff. That it was instead the work of a ninety-four year-old socialist scholar who had a well-deserved reputation for cynicism was indicative of how much the world was changing already, rapidly, during the Great Recession. The work offered a pressing, relevant way to read the political history of the twentieth-century left, akin to the vision of past and present and future unveiled in a little essay put out around the same time by another ninety-four year-old survivor of the twentieth century’s trials, Stéphane Hessel’s pamphlet Indignez-vous! translated into English as Time for Outrage! Hessel was also born in 1917, in Berlin, but his family had moved to Paris by the time Hitler came to power; active in the French Resistance, he was arrested by the Gestapo, tortured, and sent to Buchenwald. Taken together, the two publications offered twentieth-century history that spoke to present needs without reducing their ideas to “usable history.” They offered antifascist visions of the twentieth century, histories that didn’t simply memorialize the victims of a genocidal century but rather articulated what the intensely ideological century’s political combatants had fought for and against. Hessel’s pamphlet became the much more famous of the two, serving as something of a Common Sense for those who took up resistance in the people’s movements that erupted around the globe during the Great Recession. Hessel called on the twenty-first-century youth to “get angry” and stage a nonviolent revolution against the “dictatorship of the financial markets” ruling over their lives like feudal lords. Hobsbawm’s was less a manifesto, more a militant’s manual; but he was read nonetheless by a new global left. Young leftists in the United States engaged with Hobsbawm’s ideas perhaps to a deeper degree than ever before. As none other than apostate Marxist historian Eugene Genovese had pointed out in a review of The Age of Extremes (in none other than the New Republic during its neoliberal heyday), one place where the Left had not really taken to Hobsbawm during the twentieth century, aside from “ceremonial bows” and “polite applause,” was the United States. Genovese suggested that he could not recall a single “concentrated discussion in American radical circles” of Hobsbawm’s ideas. If this was representative when Genovese wrote it in the there-is-no-alternative nineties, it is no longer so now. This is in large part because Hobsbawm speaks to the moment. Genovese thought that Hobsbawm occasionally gestured “without much conviction” toward a socialist resurgence in the future, “but nothing in his book encourages such a hope.” Placed alongside How to Change the World, The Age of Extremes reads quite differently today. Today Hobsbawm’s precise astronomy of the twentieth century’s ideological cosmos seems to chart out as well the now-emerging constellations of political forces. His rendering of an Enlightenment left that imploded and yet recomposed kinetically through difficult decades seems alive to the present, as does his accounting of the disparate forces that compose the Right, however deeply fractured and self-contradictory they are. Most of all, socialists today can find illumination of today’s plight in Hobsbawm’s periodizational explanation of the twentieth century. Hobsbawm’s “age of extremes” breaks down into three interior ages-within-an-age: the “age of catastrophe” bracketed by the two world wars; the ensuing “golden age” of capitalism, the postwar Bretton Woods regime managed by Keynesian liberal capitalists; and, finally, “the landslide,” the neoliberal turn after 1973 that brought only unhinged inequality, instability, debt, and new forms of socioeconomic unfreedom. In one How to Change the World essay, written in 2007 before the financial crisis, Hobsbawm noted that Marx’s analysis remained illuminating of the internal contradictions within “the mechanism of capitalist growth” that yielded “endless bouts” of economic crises and temporary resolutions, both of which intensified the dynamics of economic concentration and economic globalization that had led to the crises in the first place. Hobsbawm’s point in How to Change the World is that Marxism endures in the twenty-first century. But this is not my point. My point is that it is not Marxism per se that seems most pressing at the moment; rather, it is that what is pertinent now is Hobsbawm’s own distinct amalgamation of the materialist interpretation he took from Marx and his own distinct recognition of politics as a battlefield of ideological forces pressing relentlessly toward extremes. Hobsbawm saw the fascist right as the enemy, but he also saw that liberal capitalism was the problem. This is a useful formulation today, when liberals are quick to condemn any critique of liberalism-as-usual as a moral failure to rally behind the establishment against the threat posed by the insurgent radical right of Trump, Bannon, Le Pen, Wilders, and Farage. Hobsbawm once described himself as “seized so young and so long by that typical twentieth-century passion, political commitment.” His sense of politics as a thing to be valued, both in terms of theory and practical socialist strategy, he took in no small part from the imprisoned Italian antifascist theorist Antonio Gramsci. In a How to Change the World essay on Gramsci, Hobsbawm drew a distinction between socialist governments — the twentieth-century “really existing socialism” — and socialist societies. The difference, he argues, lies in politics. Much like the center-left coalition parties like the Blairite Labour Party or Hollande’s Socialist Party or the Clintons’ Democratic Party, the twentieth-century communist parties of really existing socialism carefully regulated the participation of their popular bases, forever formulating more policy within ever-smaller inner cadres. The elevation of policy, Hobsbawm argued, channeling Gramsci, is the “neglect of politics.” This neglect of politics carried antidemocratic and counterrevolutionary consequences. The same is so of Hobsbawm himself, who mapped out consequences of politics, and depoliticization, in much more detail than did Gramsci. Hobsbawm saw economic turbulence hard-wired into the capitalist model, and he saw too that the radical right was coming for him. The neoliberal pact of centrism, never quite a reality, now lies trampled over by alt-right, nationalist, and nativist forces of the ascendant radical right. A new age of extremes is underway. Hobsbawm’s short twentieth century was hard and horrific. Today it is a century since his birth, and it has been a long one. Long enough that Hobsbawm’s vision of humanity-encompassing Enlightenment ideals expressed politically in the form of socialism, seemingly dead at his short century’s end in 1991, now in 2017 suddenly appears once more in surprisingly sturdy shape, fortified for what looks to be another long century. May Hobsbawm’s century be the next one. Joseph Fronczak teaches history of US foreign relations at Princeton University.